Converting An Attic Into Living Space. Many people think of ways in which to improve their home. Depending upon the style and construction, sometimes attics have more than enough room to create an additional room or two. In fact, some homes already have a finished attic that may just need a few tweaks. 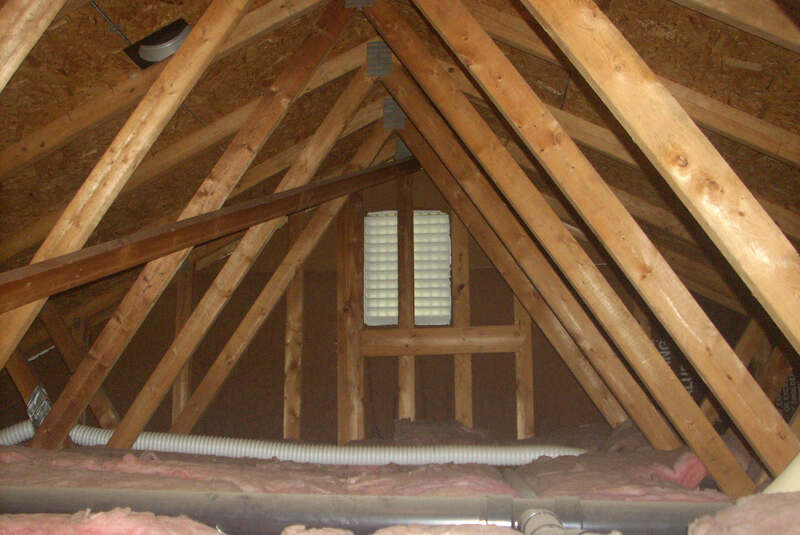 When deciding if you are going to finish an attic, there are a few things to consider. First, is there enough room and is the roof pitch steep enough to walk around and be comfortable. The next issue would be do you have access or can you construct access from a common area within the home. When you have access from another room, this creates what is called a captive room. While this is allowable, this causes what is called functional obsolescence and the improvement will not be worth as much as if the access was from a common area. A few more things come into play when converting an attic into living space. Next we need to consider windows. If there is no real area to install a window in the present configuration then at this point a dormer may be needed. Additionally, if the floor joists which currently are the ceiling joists are not strong enough, at this point you will need to build a new floor to carry the weight. Depending upon your plans, if a dormer will house a powder room or full bath, you will need to consider plumbing. Many older homes already have finished attics and are used as storage, bedrooms, play rooms etc. However, what many don’t realize, for an attic to be considered as actual ‘Living Space’, this room or these rooms will need to have heat, and not just any type of heat. The only type of heat that is considered to make this area or any other actual living space and included in the total square feet of your home is a heating system that is permanent and considered as real property. In other words, even though many know heat rises and the attic always stays warm, a portable space heater will not cut it and the room at that point is just considered attic space even if it is being used. Let us not misunderstand the heat as the only criteria to add to the square feet of your home, this does not count in the basement. Why this is different will be left for another blog. So, even though an attic bedroom may be great for your teen, it won’t be so great for your mother in law. Remember, by converting an attic into living space would probably be the least expensive way to increase the size of your home and probably the value by finishing off the unfinished area. In this way you may end up getting the biggest bang for your buck. Oh, whatever you do, don’t forget the heat. You can get many ideas online and there are many videos. Just Google attic living space, converting your attic to living space, attic conversion or many other combinations for much more information with many more ideas available online. Here are 16 amazing attic remodels from the DIY Network.